On Wednesday, April 29, SB 15-287 was introduced in the Colorado state Senate. The bill would reestablish a presidential primary in the Centennial state for the first time since 2000. The details largely match the description that was leaked last week. a point on the calendar NOT LATER THAN THE THIRD TUESDAY IN MARCH. In 2016, that would mean a small window of time on the calendar from March 1-15. However, the less date-specific front end of that constraint means that, should the national parties in the future allow for an earlier start point to the nomination process, the Colorado window would move with it (without having to return to the legislature for approval). Both that ambiguity and the ceding of the date-setting power to the governor are designed to provide the Colorado presidential primary with a little flexibility; a bit of mobility in the scheduling of the contest. That a single individual would have the date-setting authority if this bill is passed and signed into law would make Colorado like Arizona was during the 2004-2012 period (when the governor could issue a proclamation to move the primary earlier), but also like New Hampshire and Georgia where the secretary of state holds the power to set the date. Colorado would have less flexibility than Georgia and much less than the carte blanche flexibility New Hampshire's secretary of state has to keep the Granite state presidential primary first. One additional facet of this bill that should be mentioned is that the aforementioned ambiguity of the front end of the scheduling window does potentially create some uncertainty. Call this the Florida 2013 problem. Recall, that the original law change that brought the Florida presidential primary back into compliance with the national party rules had a similar "earliest point on the calendar in which a delegation won't be penalized" provision. If we were to count only the penalty that both parties levy for going too early, that earliest date a Colorado primary could be would be March 1. Yet, if Colorado Republicans opted for a winner-take-all method of allocation, it would shrink the window down to just March 15. Fortunately, the last time Colorado Republicans had a primary -- and not non-binding caucuses -- the party allocated their national convention delegates on a proportional basis. The final take home on this one is that it would transition Colorado from a closed caucuses system to a primary system opened to unaffiliated voters as well. As John Frank reported last week, this is a bipartisan move overall. There are 28 co-sponsors of the legislation across both chambers of the legislature. Two House Democrats join 17 majority Republicans and in the upper chamber where Democrats are in control, six Republicans combine with three Democratic sponsors. That is tilted toward the Republicans, but bipartisan nonetheless. Both parties appear ready to attempt to engage and battle over those unaffiliated voters in higher turnout election that would take place some time during the first half of March. It is not some mistake that Jeb Bush is in Puerto Rico this week for a fundraiser and town hall meeting. According to law in the territory, there is to be a primary election next March; on the third Sunday in March unless that date conflicts with Easter or Palm Sunday.1 In 2016, it does. Instead of being on March 20, then, the Puerto Rico primary will fall on Sunday, March 13; just at the tail end of the proportionality window. But why would a candidate make the effort to venture into Puerto Rico in April in the year before a presidential nomination race at the prospect of gaining some proportional share of the territory's 23 delegates? The answer is twofold. First, and Lesley Clark at McClatchy raises this, is that there are potential primary and general election ramifications in Florida's Puerto Rican community to making an appearance in and talking about issues important to folks on the island and in the continental United States. That is true, but there are broader strategic implications at play here as well that piggyback on that Florida-Puerto Rico connection. The Florida primary is scheduled for Tuesday, March 15. Florida Republicans are also talking about a winner-take-all delegate allocation plan. However, it is unclear if those plans include a truly winner-take-all allocation method or the more-often-used (sans national party penalty) winner-take-most allocation. Let's assume here that it is the former (and FHQ thinks it will be). The Puerto Rico primary is situated just a couple of days earlier, just inside the proportionality window on March 13. If the party utilizes the same type of allocation plan it used in 2012, then it has the potential to be a backdoor winner-take-all contest. There are no congressional districts in Puerto Rico, so there cannot be any differentiation between congressional district delegates and at-large delegates. All 23 are at-large delegates. That has the practical implication of making the Puerto Rico Republican delegate allocation either truly proportional or truly winner-take-all. Given, the date of the primary, it cannot be the latter. Recall, however, that a party can include certain thresholds in its delegate allocation plan to guide the process (and still meet the proportionality requirements). In 2012, Puerto Rico Republicans required candidates to received at least 15% of the vote to be allocated any delegates, but if one candidate wins a majority of the vote, then that candidate is awarded all 23 delegates. The latter threshold was cleared by Mitt Romney in 2012 when the former Massachusetts governor won nearly 90% of the vote. That backdoor winner-take-all scenario in Puerto Rico plus a win in winner-take-all Florida (outside the proportionality window) is a significant one-two punch (over 120 delegates). If a candidate can pull that off in what appears to be a protracted race (at that point), that is important. The key here is that there is less difference between a winner-take-most contest and a proportional contest than there is between a winner-take-all primary or caucuses and everything else. Not all states after March 14 are rushing to be winner-take-all. 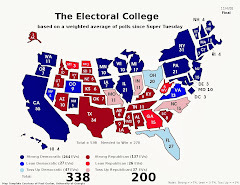 But some are, and if this race keeps going, targeting those winner-take-all states -- as John McCain did in 2008 -- is a big part of the puzzle in the race to 1235. Jeb Bush is making that play. Those primaries to be held pursuant to the provisions of this subtitle shall be held on the third Sunday of March of the year in which the general election is to be held, except if said Sunday is Palm Sunday or Easter Sunday, in which case, the primaries shall be held on the second Sunday of March of the same year. Primaries shall be held on the first Sunday of March if the aforementioned holidays fall on the second and third Sunday. In the case of national primaries, these may be held on any date after the first Tuesday of March of the year in which the general election is to be held, up to June fifteenth (15th) of that same year, as determined by the local body of the national party. The Republican Party in Puerto Rico used the second part of the law as its motivation for setting the date of its 2012 primary, but ended up scheduling it on the date called for in the first part -- the third Sunday in March (March 18, 2012). Though the date(s) probably have not changed (internally with the state parties), the mode of delegate selection and the timing of those events in Utah seems close to set for 2016. Beehive state Democrats have come to the conclusion that the party will not be able to fund an online presidential primary next year. Utah Republicans are set to make a run at an online option for nomination process but as part of a caucuses/convention process. With the online presidential primary out, Utah Democrats will now caucus in 2016, and according to Lisa Riley Roche at Deseret News, it looks like both Democrats and Republicans will be caucusing on March 22. That would line both parties' delegate selection events up with the presidential primary in neighboring Arizona. That gives the date a bit of a western flavor on the presidential primary calendar. On the Democratic side, Utah along with Arizona and Idaho would qualify for a (sub)regional clustering bonus for their respective delegations. March 22 is the earliest date on which at least three regional partnering states would be eligible for that 15% delegate boost. Both Utah parties, then, have some motivation to schedule their caucuses for March 22. Both bills to reestablish a presidential primary in Nevada missed deadlines last week to have passed their originating chamber. 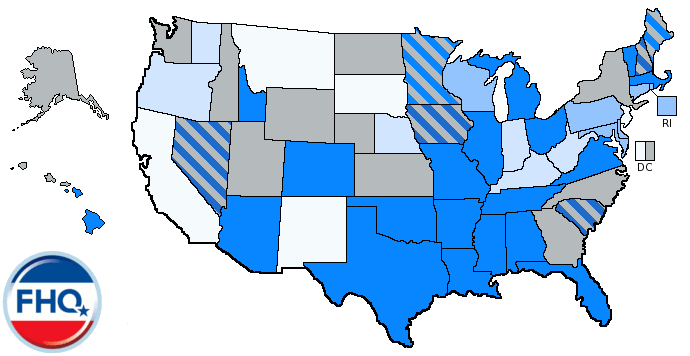 The idea of trading out the often-used caucuses in the Silver state for a presidential primary is not dead though. Neither are the bills really. As was the case in Washington, because both presidential primary bills have budgetary ramifications, they may be revived (once amended). I'm also reliably told that Republican National Committee Chairman Reince Priebus, who was in Las Vegas this weekend at Sheldonfest, is quietly supporting the primary and has made calls. Why quietly? Because Priebus knows how nuts the state party is, I'd guess, and wants this as far away from those folks as possible, but knows he may have to work with them. Mostly, this is based on the rocky road the Nevada Republican Party presidential caucuses (and all the way through to the state conventions) have traveled since they were indirectly thrust into the carve-out state spotlight prior to the 2008 presidential primary season.1 That is something FHQ cited yesterday. The final version of the bill sounds like it will have to merge components of both the Assembly version and the Senate version (at least according to the wish list of those Ralston spoke with). The former has the opt-in provision that will allow Democrats the leeway to continue caucusing2, and the latter has the consolidated February primaries provision that will save the expense of two primaries (a presidential primary in February and a primary for non-presidential offices in June). All that entails some more legislative wrangling before the first of June. 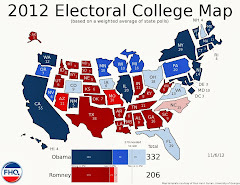 1 The DNC first gave Nevada along with South Carolina a privileged status alongside (well, behind) Iowa and New Hampshire in 2006 to diversify the early primary electorate. The Republican National Committee allowed Nevada Republicans to join the fun at the beginning of the primary calendar queue after that. 2 Nevada Democrats have expressed some concern that losing the caucuses option might affect the party's privileged status from the DNC. Rule 11 of the 2016 Democratic Party delegate selection rules directly specify the "Nevada first-tier caucuses" when providing guidelines for how the carve-out state contests should be scheduled. The two Maryland bill to move the presidential primary in the Old Line state back to the end of April are not on the list of bills to be signed later this week by Governor Larry Hogan (R). SB 204 and HB 396 passed both Maryland state legislative chambers with nearly unanimous support. These are not, then, seemingly controversial bills. There is divided government in Maryland between the Democratic-controlled legislature and the Republican-controlled governor's office, but the proposed primary move does not appear to be a partisan issue. The impetus for the change was the fact that the early voting associated with the presidential primary would conflict with religious holidays in the spring of 2016. That originally gave rise to a proposal to shift the primary back one week to the second Tuesday in April. That was later amended -- and passed by both chambers (twice) -- to push the primary back to the fourth Tuesday in April. 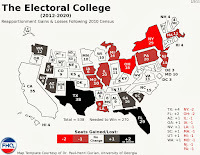 That would align the Maryland primary with presidential primaries in neighboring Pennsylvania and Delaware as well as Connecticut and Rhode Island.